Dana is an excellent real estate agent. She is professional, yet very personable and listens to your needs and what is important to you. Couldn’t have asked for a better person to work with. We have remained in contact and I will use her again in the future and have referred her to many of my great friends and coworkers. Dana was amazing to work with! She picked up on exactly what we were looking for and didn't get frustrated with us when we would walk in and immediately hate the floor plan and wouldn't want to look at anything else, just move on to the next house. We were first time home buyers from out of state, so she stacked us up with tons on options and houses in our price point, she didn't try to sell us anything we didn't want or push us into anything. She answered all questions without making us feel silly. If we ever sell or look into buying again, we will seek out Dana without a doubt. Dana has been my REALTOR® on buying two homes and selling a 3rd. She demonstrates a very professional, knowledgeable, and yet friendly manner. She possess a wide range of real estate experience regarding getting your home ready for sale and a realistic knowledge of how to list it to facilitate drawing potential buyers to see it. In addition, she has many contacts for making repairs, staging, and other details that will help with selling your home. She also can help negotiate an offer to a seller that is reasonable, and avoid paying more than you should to purchase it. Our family has used Dana for 3 house sales/purchases and she has been our advocate with great knowledge and recommendations every time. We have personally sold and purchased 2 homes with Dana. And our son also bought and sold a home with Dana. She helps you set the house up so it will sell quickly. My son's home sold in less than 48 hours. She is a great resource. I selected Dana to sell my home in the Springs of Cambridge based on her focus and knowledge of the Cambridge subdivision. She showed me that real estate is a job and not just a hobby. After listing my home, I felt confident that Dana was doing everything possible to market my home. I never once felt that Dana lost focus or gave up. In fact, the longer the house was on the market, the harder she worked. The proof is in the fact that she sold my house. There are homes in Cambridge that were up for sale before mine that are still not sold. I would recommend Dana to any of my friends and would use her again if the need arose. We want to extend to your our heartfelt thanks for your professionalism, friendliness, and most of all, patience, in helping us select the "just right" new home. You certainly went "above and beyond" what most agents would be willing to do and even though, ours was not that "Million Dollar" sale, you treated us as if, we were "Million Dollar" customers. Despite the challenges of a difficult real estate market, you managed to sell our home in less than six weeks and at the highest price possible. Achieving this type of result wasn't "accidental," but rather a consequence of your intense marketing efforts and superb negotiating skills. You consistently apprised us on almost a daily basis of showing feedback and overall real estate market conditions in our area. Your strong work ethic, professional attitude and dedication to your profession are but some of the reasons that I would strongly recommend you. I found Dana through a referral service on the internet. I had no idea what to expect, but she showed up at our first meeting with her arms full of material about herself and what she was going to do to sell my home. She didn't just come in and talk, she had a marketing plan put together and was very honest and up front about everything from pricing to updates needed to what to expect from her and what she needed from me. I knew at that first meeting that this woman was motivated, honest and willing to work for this listing not just put it on the MLS and see what happens. This has been without a doubt the best real estate experience I have ever had! Dana communicates with you and puts her experience to work for you. I knew what I wanted to happen and told her I expected her best and would stand for nothing less. She was completely up front with everything and honest in her responses to my questions. She told me what she needed from me to be successful. It was refreshing to have an open honest conversation rather than being told what she thought I wanted to hear. Dana goes above and beyond to make the partnership successful, she brought in little decorating touches to my home from her own inventory that I would never have thought to make the house look like a home you would like to buy. If I ever need an agent again, Dana will be my one and only call! I highly recommend her services and tell everyone I know what an outstanding job she does. I would be happy to be a reference for Dana. We first met Dana at an open house for one of her listings in Steinmeier Village. Being long-time residents of the Northeast side, we were familiar with the neighborhood. We didn't act fast enough, and that house got away, but we let her know of our interest in the area. Later, another house near there went on the market. We called Dana, made an appointment for a showing, and made an offer which was accepted. We then listed our old house with Dana who priced it at a level fair to us and attractive to prospective buyers. It sold the first day -- AT ABOVE ASKING PRICE! She then provided invaluable assistance at the closings on both homes and performed all functions in a highly professional manner. We were especially appreciative of her recommendations for contractors to do the work needed before we moved into the new house and to remedy those items needing correction at the old house. We were on a tight schedule, and Dana made sure they enabled us to meet that schedule. Dana, you are such a gifted REALTOR. You have a sixth sense about your business-especially when it comes to pricing a home to maximize profit while expediting the sale. I am always happy to refer you to my friends, family, and business associates since it is to their benefit to be represented by one of the top agents in town. Thanks again for you professional and savvy assistance in selling my last two homes and helping me get settled into my new home. Based on our home and the upper end real estate market in metro Indianapolis. Dana Thompson was presented with quite a challenge selling our 2-car garage home on Geist Reservoir. She devised a marketing plan and strove to present all of the many attributes of the home in the best possible fashion, while minimizing our (the sellers') costs of sale. After a lot of tenacious effort, Dana found a buyer for our home and the deal was consummated at a price that was agreeable to both sides which is to be commended in the real estate industry. I say this because in most deals, either the buyer or the seller is laughing all the way to the closing table because the deal was not "fair." Dana not only helped to make the sale of our old house FAIR, but also the same was true for her work on finding our new home in ONE DAY! Mucho GrassyAss Dana!! 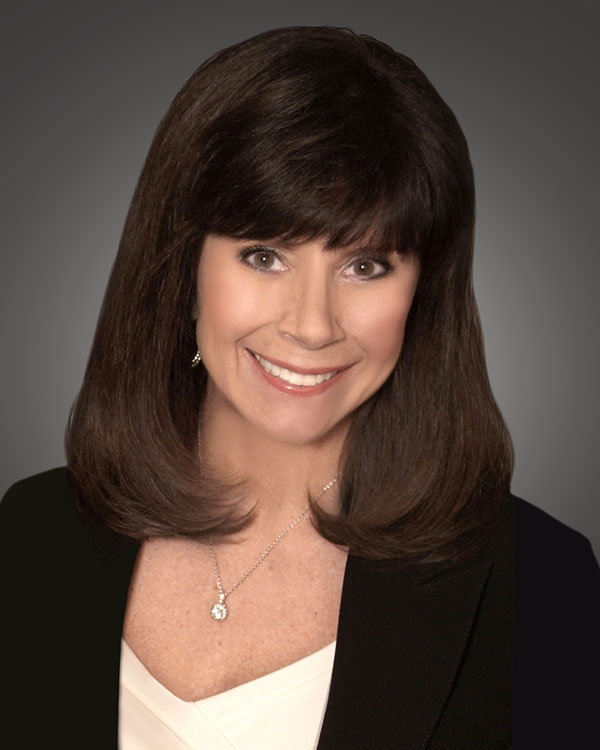 Dana is a complete professional and an invaluable asset when you're buying or selling a home. She knows the business, and she knows the area. She will provide excellent advice when complications arise and decisions have to be made. She will be the cool and calm voice that you need when you're stressed. I recommend that you retain Dana Thompson as your realtor.